Home / Slots Games / Spin the Wheel of Fortune – And Win a Daily Prize! Some of you have already won prizes on our exciting new site feature the Wheel of Fortune. If you haven’t seen the Wheel of Fortune yet you need to login to your Simba Games account and win your first daily prize. 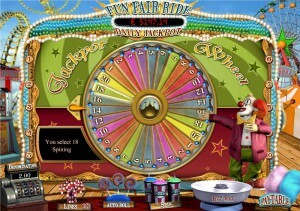 You’ll see Simba’s Wheel of Fortune every time you login to the site and the deal is that you can spin it once a day. Your spin is completely free and works a bit like a daily bonus. There are 10 different prizes shown on the wheel and you’re guaranteed to win one of them every time you spin the wheel. There are also loads of free spins! Why the Wheel of Fortune? Simba Games is first and foremost a fun site and we believe in offering players a warm welcome. The Wheel of Fortune is designed to put a smile on your face and give you a win before you even go to the games. Think of it as a small thank you for showing up and our way of saying that every player is valued and that Every Day’s a Winner! 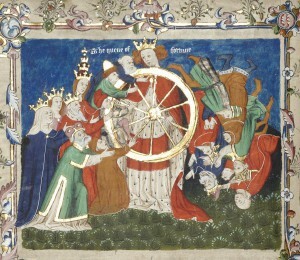 For thousands of years philosophers believed in the concept of Rota Fortunae – the idea that the capricious Goddess Fortuna spins the wheel of fate at random, either raising people to wealth and power or shattering their hopes in an instant. All humans were thought to be subject to Fortuna’s wheel and today’s king could be tomorrow’s beggar. The earliest origins of the wheel of fortune are almost as old as civilisation itself. The wheel was an important concept in ancient Rome and Greece and the roots can be traced as far back as Babylonian times. Belief in the wheel of fortune was still alive and strong over 600 years ago as the practice of divination by reading tarot cards developed. Wheel of Fortune (X) is the tenth trump or Major Arcana card. 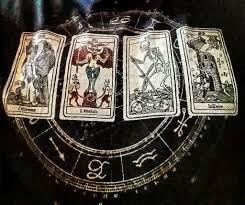 There are still plenty of people reading tarot cards today, continuing a tradition of the wheel of fortune that goes back almost to prehistory. Tarot cards traditionally feature attractive and mysterious images full of hidden meaning. The wheel of fortune card usually shows an eight-spoked wheel with a creature (sometimes human; sometimes a Sphinx-like half-human) dressed in an Egyptian-style headdress. Simba’s Wheel of Fortune is set firmly in the 21st century and is powered by a random number generator that chooses your daily prize…well…randomly. Whatever happens, you’re guaranteed to win something! The wheel of fortune continued to be a popular theme in the wandering fairgrounds that used to appear outside towns and villages across Britain. It was used by fortune tellers and gamblers and developed into a painted gaming wheel usually divided into 10 sections each with a prize. The wheels were often weighted or controlled by crooked operators and naive fair goers were frequently duped. Fortunately when you play our online slots game Fun Fair Ride you can expect on average to win a cash prize with every 3rd spin. Our Fun Fair delivers non-stop slots action!